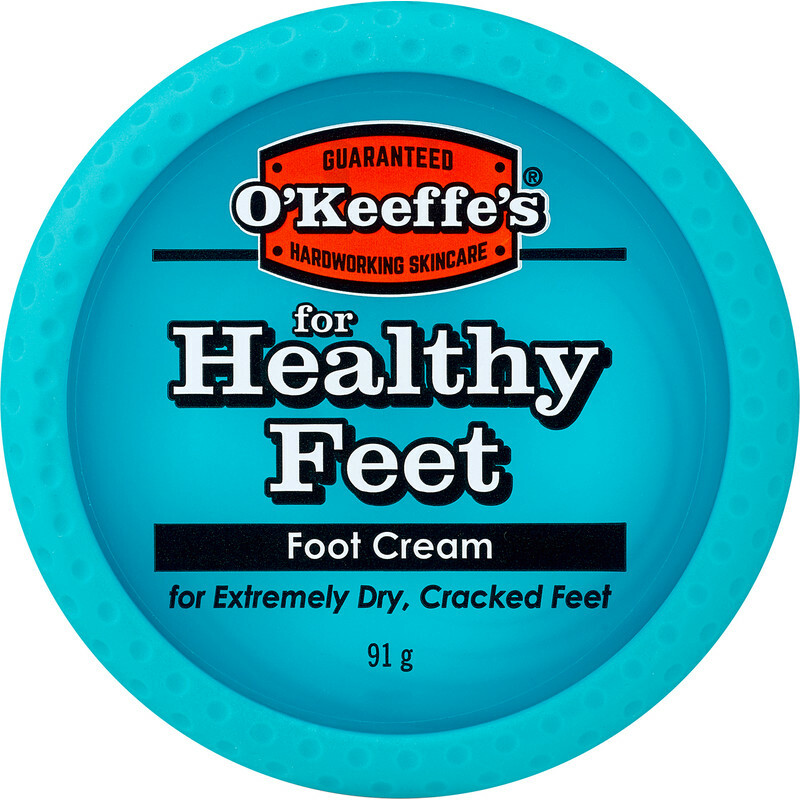 O'Keeffe's Healthy Feet Foot Cream 91g is rated 4.9 out of 5 by 11. Rated 5 out of 5 by Wizzo from Easy application First time trying this product ( for my wife ), very quick results in a matter of days. Feet feel and look 100% better. Would definitely recommend this product. Rated 5 out of 5 by Helen0301 from Amazing!! Love this cream! My feet have really dry skin but after just a few days are so soft! Rated 5 out of 5 by Vivacious Viv from Excellent results I was advised to purchase this cream by my vet for my very old 11 year old hen!!!! She has a thickening of her feet and legs and the skin has been cracking making it very sore for her to walk. I put the cream on her hard skin and massage into the skin and I've noticed marvellous results with older skin falling off and newer softer skin underneath. I also got another tub for my personal use and yes it really does work. It took about 3 days before my feet feel so soft. I also purchased the hand cream and again I love it. My hands are always in water and feel very sore across knuckle areas in this weather, so I use sparingly at night time before I go to bed and my hands feel so soft. I am going to buy some for my sister. Rated 5 out of 5 by Nanny13 from Foot cream I have very dry skin, my foot heel was crack. it is a good product and good value to buy from ToolStation. Rated 5 out of 5 by parttimebob from Cosy feet. Cracked and dry, the soles of my wife's feet were like grade 50 sandpaper. We have tried all types of creams from cheap to very expensive with only limited relief. Within 6 weeks of applying O'Keefes's (a little every night), her feet were almost back to how she remembered them. I now apply it every other night. A word of caution. If you go from a 'regular' 6-10 thousand steps a day at home, to 3 days of walking 28,000 steps around Rome, your feet may become tender.